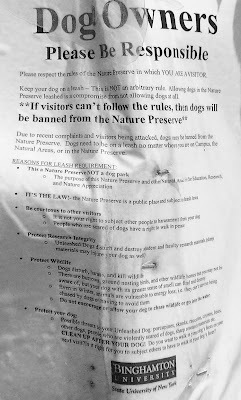 "Finally, a note to all the denizens of the Peninsula who were dismayed to see those “No Pets in Lake” signs: one benefit of FIDO’s presence at all those Park meetings is access to the Powers That Be. The signs should be modified or removed by the time the water warms up. (Thanks, Tupper!)" A small bit of good news. 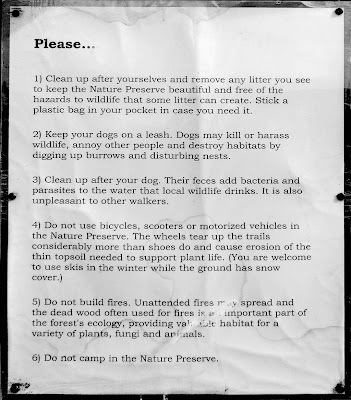 It seems from this article in today’s New York Times that the leash law is being enforced, albeit outside the parks by, of all agencies, the Sanitation Department.